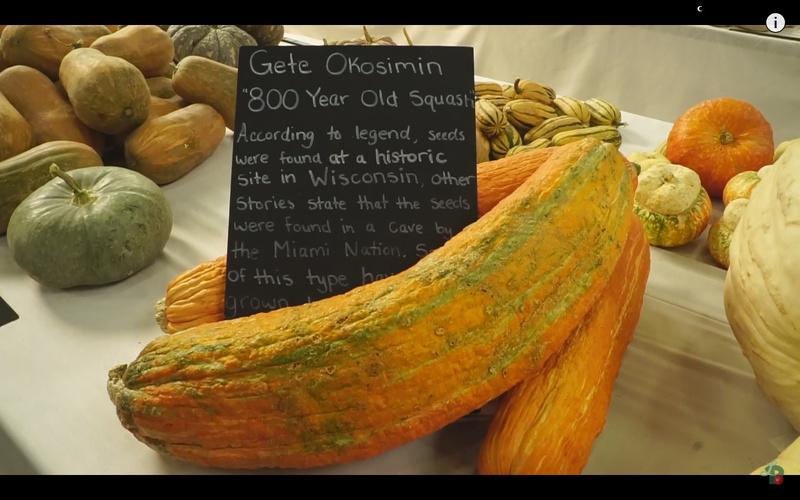 This is the squash that gained fame online and became known as the �800 year old squash� which, according to legend, seed was found in a �clay ball� at an historic site in Wisconsin. 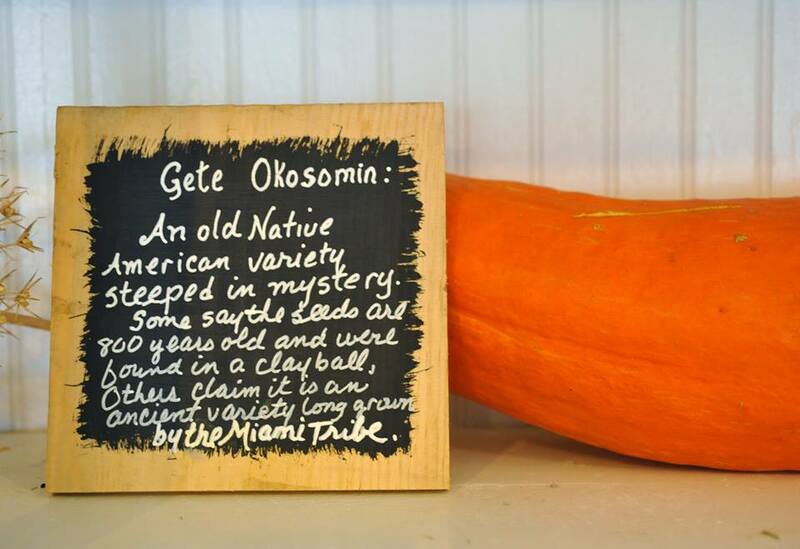 But, other stories state that this squash was found in a cave by the Miami Nation. Whatever the story is, we know that squashes of this type have been grown by Native people in North America for hundreds of years and likely came from the Guatemala area, possibly over 1000 years ago. This fabulous Native American squash first came to our attention in 2015, at the 5th annual Heirloom Exposition in Santa Rosa, California. The magnificent fruits run about 2-3 feet long and weigh up to 18 pounds. The color is a rich, bright orange, with lighter orange striping running the length of the banana-shaped fruits. The surface is mildly bumpy; the overall appearance is amazingly beautiful. Gete-Okosimin also proves to be delicious--sweet, with hints of melon, and possessing a wonderful smooth texture. 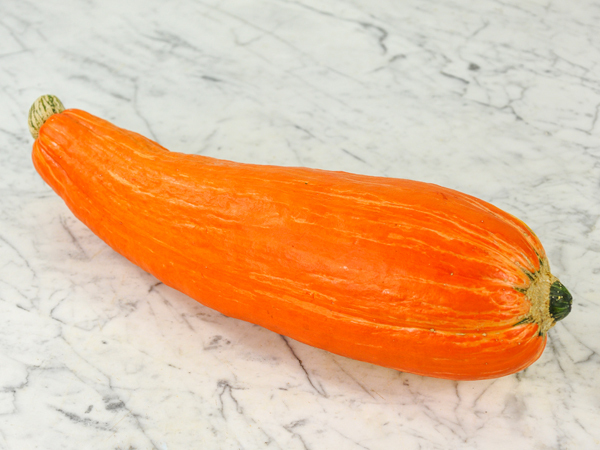 We thank Roger Smith for bringing this squash to our attention.